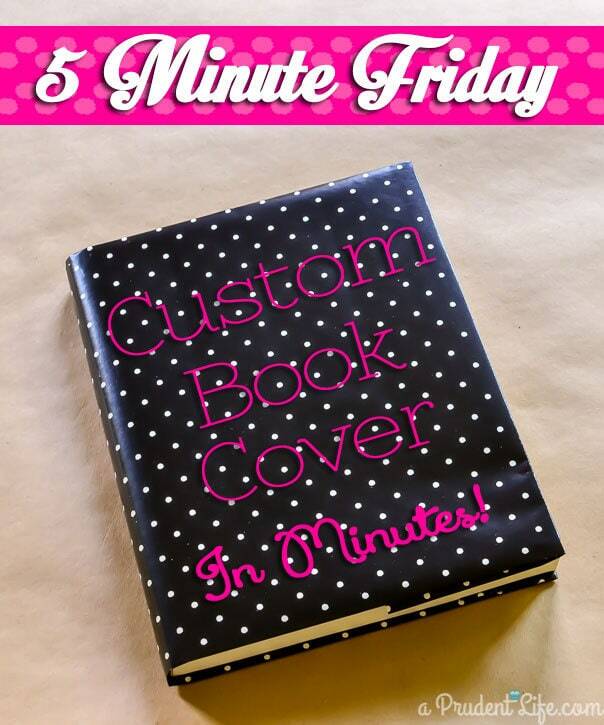 Every Friday, my friend Angela from Blue i Style shares great projects you can complete in 5 minutes. That’s less time than it takes to fold a load of laundry! As much as I love seeing huge projects on blogs (including mine! ), let’s face it, a quick project is more likely to translate into our lives. This week, Angela invited a few of us to share in the fun and make our own Five Minute Friday projects. Since it is now August (how did that happen! ), we picked a back to school theme! I LOVE back to school time because it means beautiful blank notebooks, a fresh planner, and colorful new pens. I heart office supplies. So much. So, so much. 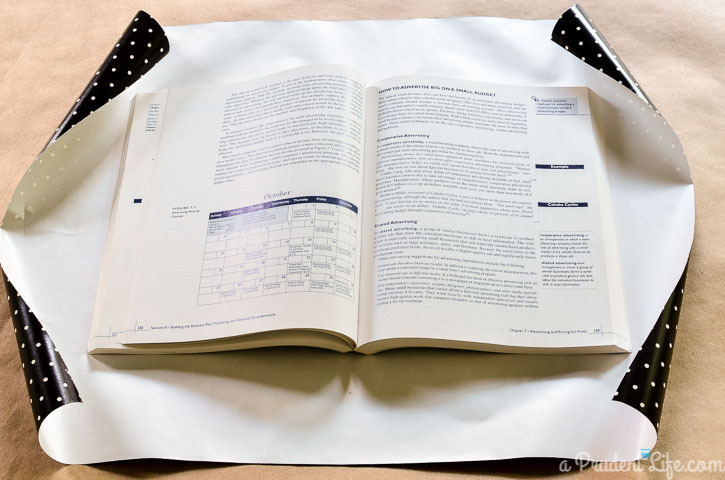 Along those lines, I decided to show you how I used to cover all my books for school, even though I had ZERO budget. Having pretty covers on boring books made everything better! The BEST thing to use for this project is a brown paper bag from the grocery store. They can be decorated with markers & washi tape, plus the paper is sturdy. Brown kraft paper would also work great! My book wasn’t going to be shoved in a backpack, just onto a shelf as decor, so I choose a piece of fun wrapping paper instead. 1. 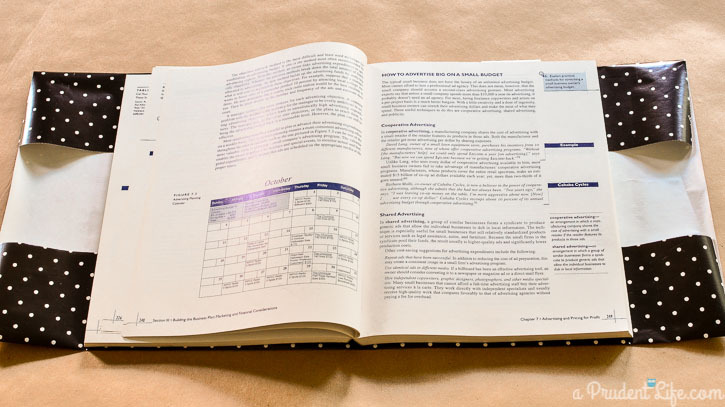 Open your book from the center and trim your paper to be 3-4 inches larger than your book all the way around. 2. 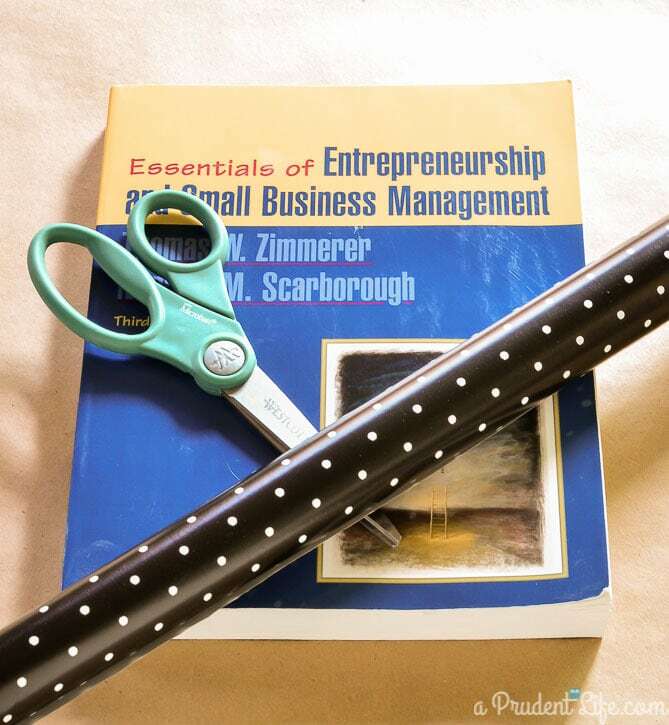 Fold the top & bottom excess in about equally so that the height of your paper matches the book. 3. 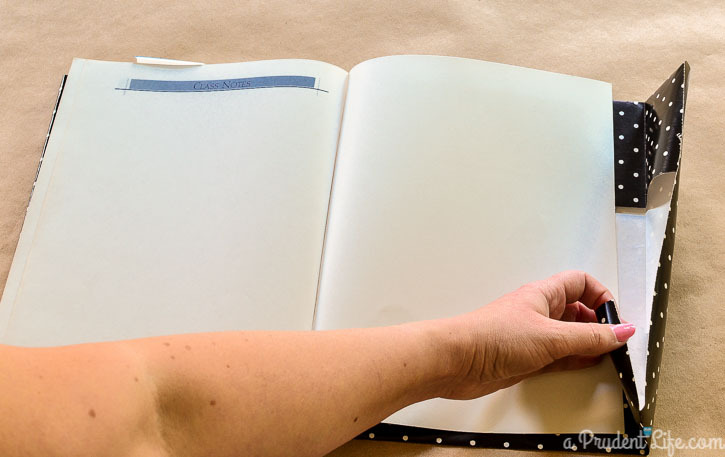 Now fold the first side in and slide the front of the book into the “pocket” created when you folded the top down and bottom up. 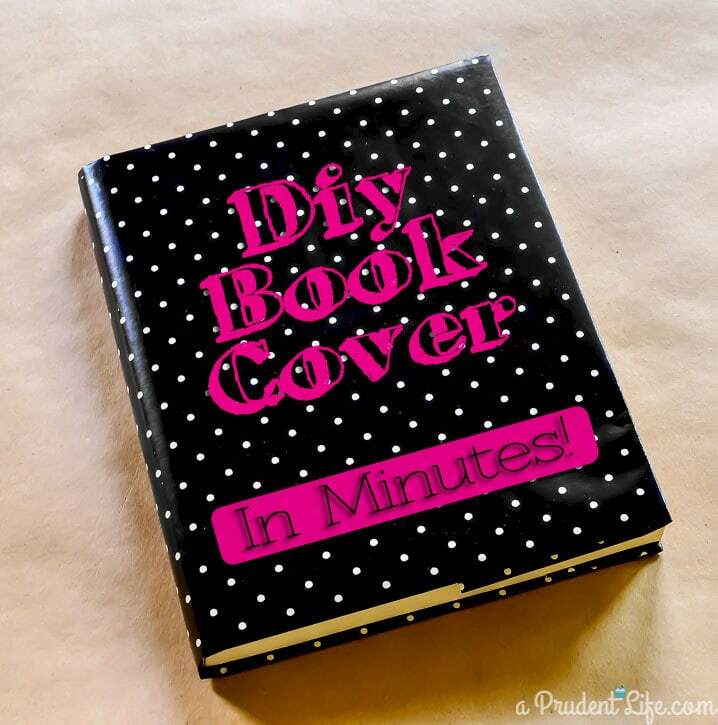 Repeat on the other side and you have yourself a finished book cover! And that’s it – 3 easy steps! I love that this is doable with no tape so you don’t risk damaging a book that has to be returned at the end of the year. Now that you’ve got a pretty book, check out all the other awesome back to school 5 Minute Friday ideas! What do you think? Do you love the 5 minute Friday concept as much as I do? 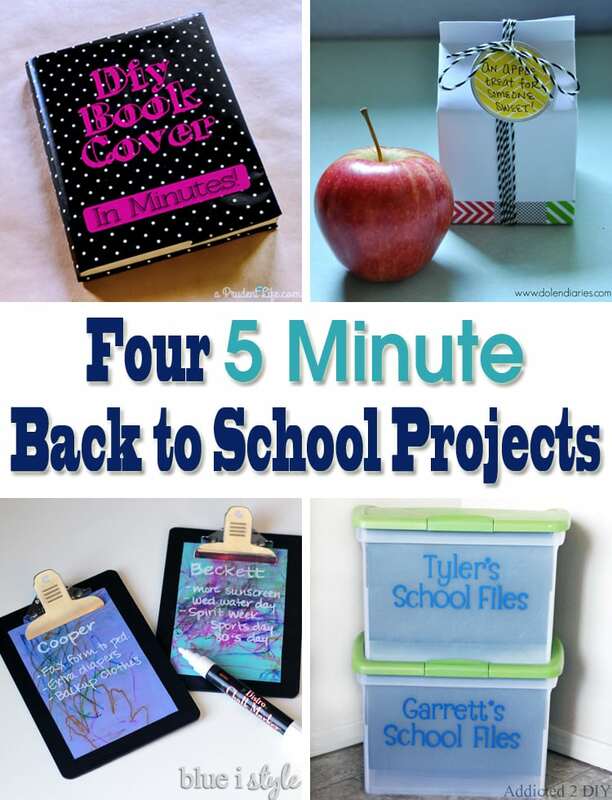 Love 5 minute projects…not ready for back to school, though! Love the book cover project. Super cute! !